The ‘Ulysses’ is just like the’ Dunraven ‘built in’ Newcastle-upon-Tyne ‘by’ A. Leslie & Co ‘and launched in 1871. This was also a so-called screw-driven brigantine, just like the Kingston and the Dunraven. In short, we put a steam engine on board, but we also put a sail on it because they work and sailing is cheap. Ultimately it is easy to see that you are left with both a bad sailing ship and a bad motor. The rigging was the same as that of the Dunraven. Around 1870 it was just in between the steam engines started to gain the upper hand. The ‘Ulysses’ was also equipped with such a ‘state of the art’ modern steam engine. The ‘Ulysses’, like the Dunraven, was also sailing the Bombay route, ie between England and India. Certainly, after the opening of the Suez Canal in 1869, this became a busy route, with new challenges for the captains, most of whom had never had to deal with the treacherous coral reefs of the Red Sea. So was the captain of the ‘Ulysses’. In August 1887 the ‘Ulysses’ left England for Penang, this time with a very special cargo. Copper wire and isolators for a new telegraph network in India. The copper wire has long since disappeared but here and there you can still find the insulators in and around the wreck. Arthur Bremser was the captain. Although experienced, this was the first time he would sail through the Red Sea. He was aware of this lack of experience and left very little to his first mate. Not only in terms of navigation but also customs, port authorities, paperwork etc. After Port Said he relaxed a little towards Suez. By the evening of August 15, the narrow Street of Suez was passed and at the street of Gobal the water broadened to the red sea. As so may before him the fatigued Bremner thought the danger was gone and after he had given clear instructions he retired to his cabin. In the early morning of the 16th of August the ‘Ulysses’ ran on the rocks of Gobal Seghir. At first it appeared that the damage was not so bad and the pumps would manage. So Bremner decided to wait for help from another ship. Before dawn that help came from the British ‘Kerbela’. However, the ‘Kerbela’ was not able to help and continued his way to Suez and promised to send help. Unfortunately for Captain Bremner and the ‘Ulysses’ the weather turned bad. At first everything seemed ok and the pumps would manage so the captain waited with putting the cargo overboard. Bremner just waited for help to arrive. It was not until the 18th that aid was sent but then it was too late. Although Cargo was dumped, the damage had now become so serious that it was too late. It was all only a matter of time before the ‘Ulysses’ went down. The ‘Ulysses’ is unfortunately in a location where the usual wind directions lie on the lower bank. Rarely can you get there by a safari boat, let alone anchoring. The most common method is to moor the safari boat just around the corner at Bluff Point and then use a zodiac to drop the divers onto the ‘Ulysses’. 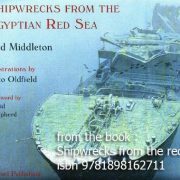 The wreck itself is on the reef with the stern towards Suez, broken just around the engine room. This is at a depth of 10 meters, the stern and propeller at around 30 meters. The bow is largely smashed to pieces but the stern is reasonably intact. Obviously, most of the wooden parts have been rotten away so that only the steel skeleton remains, very similar to the ‘Carnatic’. The rudder and the propeller are still intact and gives a nice photogenic picture. On top of the aft deck you can still see the bollards, capstans and the like so you still recognize the sailing background of the ship. Because the wooden deck is gone, like the Carnatic it is easy to swim in and around. Deep in the wreck are some barrels but also the propeller shaft. Watch out for stone fish if you want to put your hand down! 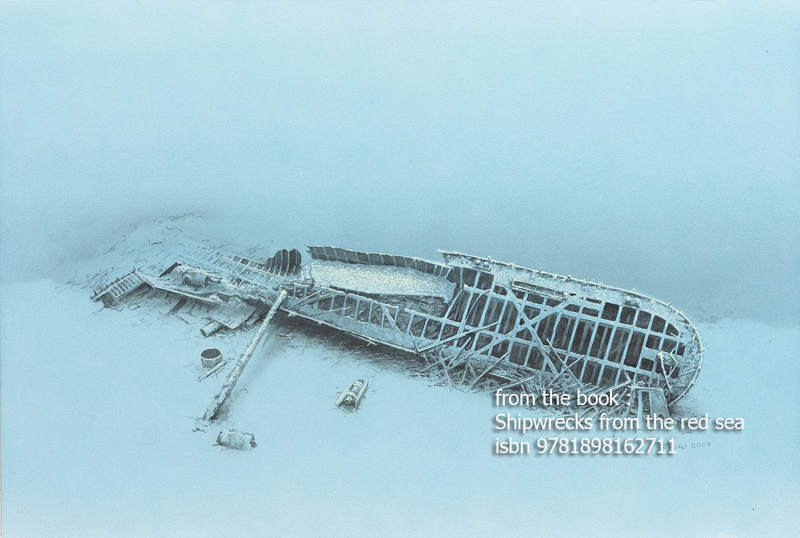 From the stern, you can continue your way into the ship to the point where the ship is broken and you have to leave the wreck. What is always impressive are the big schools of glass fish which are normally in the wreck.